The scientific method is a way to answer questions by making various observations and doing experiments. 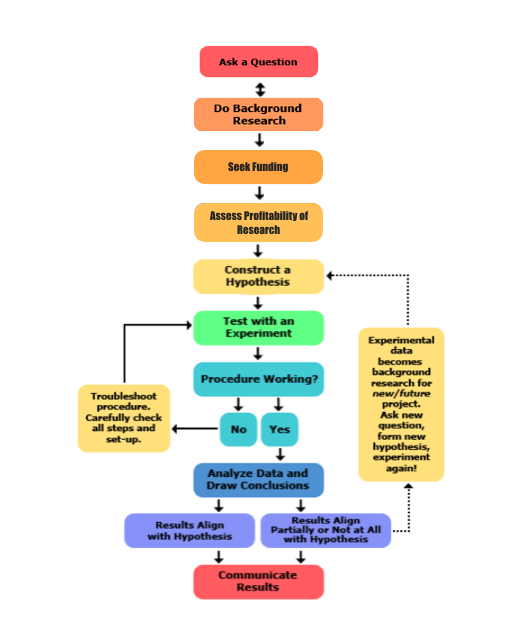 The steps to the Scientific Method are: Ask a Question, Do Background research, Seek Funding, Assess profitability of research, Construct a hypothesis and Test with an experiment. The rest of the steps are listed in the picture below in order. I hope this helps you to understand this method.